Choosing appropriate practices and policies for biofuel production requires an understanding of how soils, climate, farm types, infrastructure, markets and social organisation affect the establishment and performance of these crops. The book highlights land use dynamics, cultivation practices related to conversion and wider impacts. It explores how biofuel production chain development is steered by emerging technologies and management practices and how both can be influenced by effective policies designed to encourage sustainable biofuel production. SRC and other lignocellulosic crops. In each case the development, cropping systems and impacts are discussed, system dynamics are shown and lessons drawn for the way things could or should change. 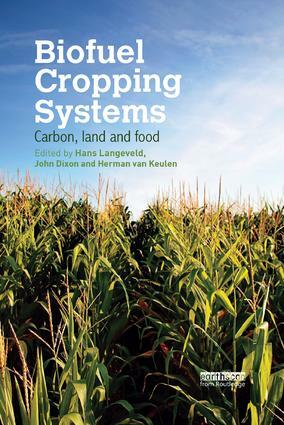 Biofuel Cropping Systems is a vital resource for all those who want to understand the way biofuels are produced and how they impact other elements of society and especially how improvements can be made. It is a handbook for students, biofuel producers, researchers and policymakers in energy and agriculture.